It’s also a winning combination with the Automobile Journalists Association of Canada (AJAC), which named the 2017 Toyota RAV4 Hybrid the Canadian Green Utility Vehicle of the Year. 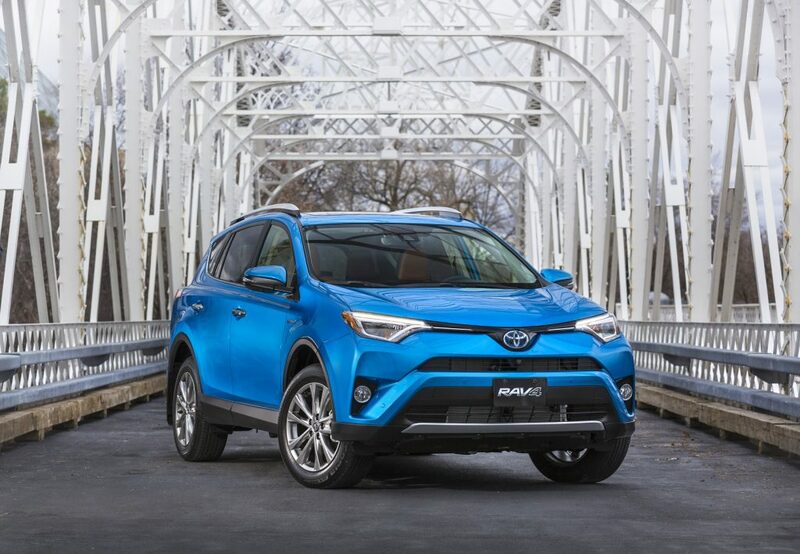 The 2017 Toyota RAV4 Hybrid delivers advanced power and even more efficiency through a Hybrid Synergy Drive built around a 2.5L four-cylinder, Atkinson Cycle engine, continuously variable transmission with transmission cooler and gate-type shifter. Coupled to a powerful electric motor, power storage batteries and powertrain management systems, this combination delivers 194 net system horsepower and an impressive fuel efficiency of just 7.3L / 100km city/highway combined. In addition to impressive performance, every 2017 RAV4 Hybrid offers generous comfort, convenience, technology and safety features as standard. These include many features unique to hybrids – from the added power and efficiency of regenerative braking to four driver-selectable powertrain options (Normal, Power and ECO, plus Electric Vehicle mode for short distances) that tailor the RAV4 Hybrid to suit any driving style and road or weather condition. Additional features include Dual Zone Automatic Climate Control, a Display Audio system with Bluetooth® capability, heated front seats, a 60/40 split folding rear seat to open up 2.0 cubic metres (70.6 cubic feet) of cargo capacity, fog lamps, rain-sensing wipers, power-adjustable and heated exterior mirrors, and much more. Equally impressive safety systems include Toyota Safety Sense P – a bundle of advanced safety systems including Pre-Collisions System with Pedestrian Detection function, featuring forward collision warning and automatic emergency braking… Lane Departure Alert with Steering Assist function… Automatic High Beams… and full speed Dynamic Radar Cruise Control. Other features include the six active technologies of the Toyota Star Safety System, eight standard airbags, a backup camera, vehicle proximity notification system, and more.